Now that this year's tax season is just about here, we figured this was the perfect time to think about lowering your taxes -- because we're pretty sure everyone wants to lower their tax bill. It's a national pastime -- hunting around for little-known deductions and credits that may decrease how much you owe at the end of the year. But one method that people often forget about is your health savings account (HSA). Now that more people are joining high-deductible health plans (HDHPs), more people are eligible for HSAs. However, they're often not aware how saving money in an HSA can dramatically affect their taxes. Say you want to lower your taxes and save for upcoming medical expenses. Here's how you can lower her taxes with an HSA, along with a quick look at the rules you need to follow. The money you contribute to your HSA is non-taxable, just like it is if you contribute to a traditional 401(k), IRA or other interest-bearing account. When you contribute money to an HSA, it decreases your adjusted gross income (AGI) which determines your taxable income. Since the U.S. runs on a tax rate system based on your income, the lower your AGI, the lower your tax bill. If you're working as a W2 contract employee, you might be lucky enough to have an employer who contributes to your HSA. Employers are able to contribute to an employee's HSA without those funds counting as taxable income, unless it exceeds the HSA limit. Let's assume you have an insurance plan with a deductible of $2,500. In general, to qualify for the HSA deduction, a health insurance plan must have a individual deductible between $1,350 and $6,650 and between $2,700 and $13,300 for families. But be careful -- if you contribute to an HSA when you're not eligible for one, you may have to pay some penalties to the IRS. It doesn't hurt to contribute to your HSA, even if you're not sure you're going to need all your HSA money for that coming year. HSA funds roll over from year to year and can even be assigned to a beneficiary in the event of your death. This money is also eligible for investment. 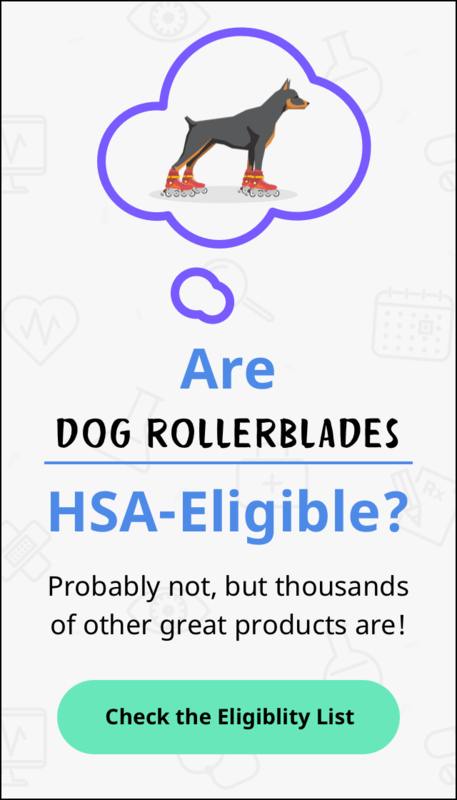 If you have an excess of HSA funds, such as $2,000, you may be able to invest the money several ways, depending on your HSA provider. In some ways, that makes your HSA a back-up retirement account; this is perfect for people who have already maxed out their 401(k) and IRA. When you withdraw funds from your HSA for qualified expenses, the money also comes out tax-free, a perk not available to other types of accounts. When you use a Roth IRA, you pay taxes on the contribution, but not on the distribution. If you have a traditional IRA, you don't pay taxes on the contribution, but your distributions aren't taxed. By comparison, your HSA doesn't tax contributions or qualified distributions. Win-win, for everyone involved. Tax Facts is a weekly column offering straight up, no-nonsense HSA tax tips, written in everyday language. Look for it every Tuesday, exclusively on the HSAstore.com Learning Center. And for the latest info about your health and financial wellness, be sure to follow us on Facebook and Twitter.